Two of the biggest expenses for any commercial truck driver or fleet manager are diesel fuel and tires. Of course, it is easy to choose the right fuel at a gas station but it isn’t so easy choosing the right tires. You have to consider the size, tread, position and durability of the tires in conjunction with the environment you’ll be driving them in. That way you can get the most life out of your tires and reduce the chances of them going flat or blowing out on the road. 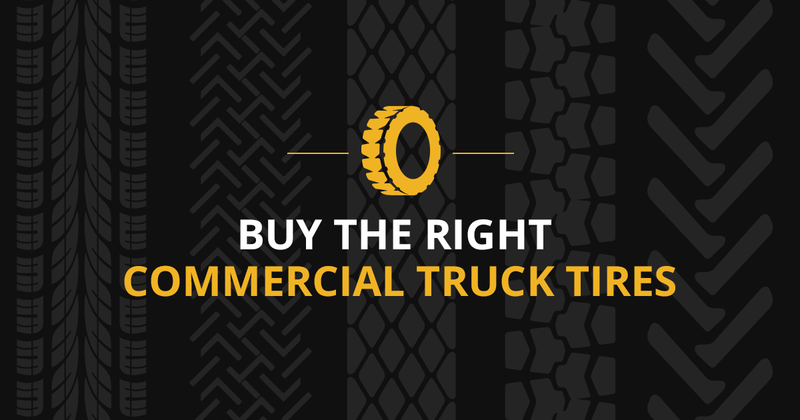 When you visit a truck tire retailer, they’ll be able to recommend the best tires for your truck under the conditions you’ll be driving them under. For example, standard truck tires perform well in dry climates but not so much in wet climates. If you were to upgrade to all-season tires then you could drive better in winter, dry, or wet climates. All-season tires are sometimes referred to as heavy duty tires because they are made to be able to endure the environmental and climate conditions of all 50 states. This is perfect for truck drivers who drive cross country and have to endure the varying weather conditions from the northern and southern hemispheres. There are also drivers who like to switch between different tires throughout their trip in order to accommodate the changing environmental conditions along the way. But if you drive under snowy or icy conditions for the majority of the trip, you’ll want to go a step further and get high-quality cable chains for your tires. These chains give extra traction which helps prevent the truck from sliding so easily on icy roads or getting stuck in the snow. There is no doubt that the tires of your truck should be a reflection of the surface you’re driving on. Aside from snowy roads, you may have a truck that you’re going to drive off road. This could be a gravel road or trail with lots of jagged rocks, mud or another type of uneven terrain. Standard tires would not be able to sustain the impact on such a surface. That is why you would need off road tires instead. Their sidewalls are designed with treads which prevent them from getting damaged by the bumpy surfaces they ride over. Off road tires are specifically made for just this kind of driving. If that’s the kind of driving you do, then go with off road tires for your commercial truck. There are steer tires which are designed for the front axle position. Steer tires are designed for more than steering. They can also help channel water away from under them to help keep the rubber against the pavement. Steering tires are the two most important tires of the truck. Sure there are other tires that could go flat and you’d still be able to drive, but that is not the case with steer tires. If one of those tires goes flat, you have to get it replaced or you’re not going anywhere. So always try to purchase quality steer tires or all-position tires the next time you need to replace or upgrade the most important tires on your truck.